Deceit is "the action or practice of concealing the truth in order to mislead; deception, fraud, cheating, false dealing; a trick, stratagem or wile." Deceit begins as the soul taint of hiding things, and is a sin because it is a perversion of truth and reality. Worse, deceit is one of a set of triplets, including chicanery and treachery — where you find one, you are likely to find the others. To be deceived by another is an initiation, the severity of which depends on the kind and degree of deception involved. Being deceived by others is a rite of passage from adolescence to adulthood. Deception can well nigh destroy the idealism of youth, but you can help moderate this with good counsel, should you be called to do so. To the cynic, politics itself is the embodiment of artful deception, and politicians are not to be trusted since deception is how most of them earn their very bread. Plato is our best source of instruction on the nature and effects of deceit. God uses people's deceit to build His divine vibrations. – Edna Lister, October 1, 1938. Deceit abounds in the unrighteous, yet you must understand it, and in no way condemn them. – Edna Lister, December 26, 1938. The soul who applies law and wisdom sees all deceit and trickery as in an open book. – Edna Lister, December 26, 1938. Thou shalt not live by false pretenses. – Edna Lister, New Ten Commandments, 1939. Nothing is omitted when the time has come to sift all weaknesses, treachery and deceit. – Edna Lister, August 23, 1939. Illusion deceives the bodily eye by false or unreal appearances or the mental eye by false prospects or statements, by deception or delusion. An illusion deceives or deludes by producing a false impression. Illusion is the misrepresentation of reality by individuals or personalities. – Edna Lister, A Design for Ascension, 1941. When one is unbalanced, or demands perfection from another, hold both in balance until they may see clearly. The truth will seem an illusion to those with no understanding. There are those in whom the truth does not lie, those to whom all truth is a lie, those to whom truth is truth once and a lie another, and those to whom all is a lie. Yet some are steadfast under laws of Light, to whom all is truth, and the Father sees to it and makes it so. Do not believe the lies at any time. Stand on truth for truth's sake always. These are your tithe. Bring ye all the tithes into the storehouse, that there may be meat in mine house, and prove me now herewith, saith the Lord of hosts, if I will not open you the windows of heaven, and pour you out a blessing, that there shall not be room enough to receive it. – Malachi 3:10. When you pay your tithe, God will pour out upon you blessings greater than you have room to receive. Others' lies shall be revealed as truth for you, all doubters shall believe, all fears shall be turned into faith, all deceit into substance to use again as building stones for the temple, all treachery into gold plate and candlesticks for the altar, and all reviling into "added things." – Edna Lister, February 25, 1941. Experiences that teach you law and show you the way are always good and very good. God deceives no one. Yet, each soul on earth must be cleansed of its own conceits, and so come through the vale of illusion into all knowledge. Your guards and the Master must look on in sorrow when you delude yourself. They may only protect you from harm, loss of place, position and point, and hold you as you wander around in a confusion of your own making. Yet even while deluded, you still have freedom of choice. Innocence is no protection to anyone, high or low. Only full knowledge by experience and wisdom can protect you. To be an oracle, used fully by God as a mediator between heaven and earth, you must cleanse soul of self. Everything you see and hear, you color to the degree of self still remaining in you. Unless you can discern, discriminate and segregate the degrees of truth, you have no business in seeking to lead others. This is how the blind lead the blind until both fall into the ditch. Waiting until you do not use your own imagination to mediate is best. Wait upon the Lord, learning full law to equal this so-great gift. Of what use are you when unable to discriminate between your own imagination creating illusions, instant knowledge of a strange alien vibration seeking to break through, or actually seeing the form and hearing the voice of each Agent of God? – Edna Lister, October 20, 1944. When you really desire to give up all self, you can tell the difference between truth and illusion. Only then can you make the right choice at the very first test. When the self-desires blind you, you are really blind to the difference between truth and illusion. For illusion is always founded in a fact, which someone then distorts to fit a perversion of truth. People go off the deep end when they please themselves by taking the attitude that other should understand them. By telling half truths, they too often brand themselves as liars because, in fact, they have been deceitful before God. God is very, very good to me to really justify my stand for truth. I know God. He's never let me down – never. – Edna Lister, February 22, 1945. Deceit breeds lies, treachery and subterfuge. – Edna Lister, August 1, 1945. You hide nothing when you live by deceit and treachery, and do not admonish self, for Light brings it into the open. Call such actions by their right name. Light will shout your fault from the housetops if you don't face it. – Edna Lister, December 6, 1947. Evil can use treachery only where it finds deceit, just as it can play upon self only where self is blaming others and desiring more for self. – Edna Lister, April 19, 1948. With those who have behaved deceitfully, act as if nothing had happened. Ignore all darkness — otherwise, you are unforgiving, believe in darkness, and want someone else punished. You either do surrender to be possessed of the Light or you do not. When you are possessed of the Light, where is darkness? Pay no attention to them. Act as if nothing has happened, because that is the truth. Nothing has happened. Only darkness buried in the other fellow's heart has come to the surface for lifting. Once lifted, it is gone forever. Pray that no one can do anything destructive, no matter how they try, act, think or hate! Hold them up in the hollow of your hands and they cannot get away from God or His truth — and God is doing all this. – Edna Lister, January 25, 1949. Every deceitful vibration has its own peculiar odor. – Edna Lister, November 16, 1950. Pretense is not good enough. The tricks of black magic, such as manipulation and deceit, can give a person something for nothing in the short term, but work in reverse over the long haul, exacting a terrible price. – Edna Lister, June 17, 1951. Blessed are the pure in heart, for they shall see God. – Matthew 5:8. An impure heart has something other than God's laws written on it. It may entertain deceitful thoughts, envy, jealousy, covetous emotions or may forcefully manipulate others. You will be pure of heart if you let Mind, Substance and Power use you. – Edna Lister, October 31, 1954. When you hide things, you cover up only from self. – Edna Lister, July 20, 1956. You may not hide things from yourself, evade issues, tell tales, or use treachery or lies, even under self-delusion. – Edna Lister, July 20, 1956. For if a man think himself to be something, when he is nothing, he deceiveth himself. But let every man prove his own work, and then shall he have rejoicing in himself alone, and not in another. – Galatians 6:3-4. You never can deceive God, and can fool the world for only a short time. – Edna Lister, Prove Thy Works, September 16, 1956. Those whom the gods make mad, they first cause to fall madly in love with themselves. 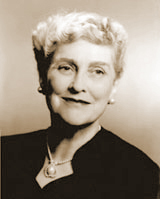 This is a time of trying days when men shall deceive and be deceived.– Edna Lister, November 1, 1956. Discernment is the ability to see the truth, the keenness of your perceptions. Discernment gives you the ability to penetrate the veils of illusion, the mist that veils the Light. By using discernment as insight, you can see around corners and through the masks people wear. Lies and deceits become obvious to you. Thus, you can be aware of something happening before news of it arrives. – Edna Lister, Your Capacity for Freedom, November 17, 1957. Delusions are self-deceptions. – Edna Lister, What Is Healing? May 17, 1960. Many souls who have great Chronological Age (soul age) cannot stand the test of time, which is the hardest, for nothing escapes the sifting of weaknesses, treachery and deceit. – Edna Lister, January 12, 1961. Lies and deceit are falling of their own weight. People are rejecting false gods and the lies of propagandists, repudiating being compartmentalized, pigeonholed. Declare, "I repudiate, I ignore, I forget all things of the past except that which I am inspired to do or live. I stand in the Light." – Edna Lister, October 15, 1967. A certain man named Ananias, with Sapphira his wife, sold a possession, and kept back part of the price, his wife also being privy to it, and brought a certain part, and laid it at the apostles' feet. But Peter said, Ananias, why hath Satan filled thine heart to lie to the Holy Ghost, and to keep back part of the price of the land? Whiles it remained, was it not thine own? and after it was sold, was it not in thine own power? why hast thou conceived this thing in thine heart? thou hast not lied unto men, but unto God. And Ananias hearing these words fell down, and gave up the ghost: and great fear came on all them that heard these things. And the young men arose, wound him up, and carried him out, and buried him. And it was about the space of three hours after, when his wife, not knowing what was done, came in. And Peter answered unto her, Tell me whether ye sold the land for so much? And she said, Yea, for so much. Then Peter said unto her, How is it that ye have agreed together to tempt the Spirit of the Lord? behold, the feet of them which have buried thy husband are at the door, and shall carry thee out. Then fell she down straightway at his feet, and yielded up the ghost: and the young men came in, and found her dead, and, carrying her forth, buried her by her husband. And great fear came upon all the church, and upon as many as heard these things. – Acts 5:1-11. For many shall come in my name, saying, I am Christ; and shall deceive many. And ye shall hear of wars and rumors of wars: see that ye be not troubled: for all these things must come to pass, but the end is not yet. For nation shall rise against nation, and kingdom against kingdom: and there shall be famines, and pestilence, and earthquakes, in divers places. All these are the beginning of sorrows. Then shall they deliver you up to be afflicted, and shall kill you: and ye shall be hated of all nations for my name's sake. And then shall many be offended, and shall betray one another, and shall hate one another. And many false prophets shall rise, and shall deceive many. And because iniquity shall abound, the love of many shall wax cold. – Matthew 24:5-12. Let no man deceive himself. If any man among you seemeth to be wise in this world, let him become a fool, that he may be wise. For the wisdom of this world is foolishness with God. For it is written, He taketh the wise in their own craftiness. And again, The Lord knoweth the thoughts of the wise, that they are vain. Therefore let no man glory in men. For all things are yours; whether Paul, or Apollos, or Cephas, or the world, or life, or death, or things present, or things to come; all are yours; and ye are Christ's; and Christ is God's. – 1 Corinthians 3:18-23. Take heed, brethren, lest there be in any of you an evil heart of unbelief, in departing from the living God. But exhort one another daily, while it is called Today; lest any of you be hardened through the deceitfulness of sin. For we are made partakers of Christ, if we hold the beginning of our confidence steadfast unto the end; while it is said, Today if ye will hear his voice, harden not your hearts, as in the provocation. – Hebrews 3:12-15. Unto every one of us is given grace according to the measure of the gift of Christ. Wherefore he saith, When he ascended up on high, he led captivity captive, and gave gifts unto men. (Now that he ascended, what is it but that he also descended first into the lower parts of the earth? He that descended is the same also that ascended up far above all heavens, that he might fill all things.) And he gave some, apostles; and some, prophets; and some, evangelists; and some, pastors and teachers; for the perfecting of the saints, for the work of the ministry, for the edifying of the body of Christ: till we all come in the unity of the faith, and of the knowledge of the Son of God, unto a perfect man, unto the measure of the stature of the fulness of Christ: that we henceforth be no more children, tossed to and fro, and carried about with every wind of doctrine, by the sleight of men, and cunning craftiness, whereby they lie in wait to deceive; but speaking the truth in love, may grow up into him in all things, which is the head, even Christ. – Ephesians 4:7-15. Henceforth walk not as other Gentiles walk, in the vanity of their mind, having the understanding darkened, being alienated from the life of God through the ignorance that is in them, because of the blindness of their heart: Who being past feeling have given themselves over unto lasciviousness, to work all uncleanness with greediness. But ye have not so learned Christ; if so be that ye have heard him, and have been taught by him, as the truth is in Jesus: that ye put off concerning the former conversation the old man, which is corrupt according to the deceitful lusts; and be renewed in the spirit of your mind; and that ye put on the new man, which after God is created in righteousness and true holiness. Wherefore putting away lying, speak every man truth with his neighbour: for we are members one of another. – Ephesians 4:17-25. Be ye doers of the word, and not hearers only, deceiving your own selves. For if any be a hearer of the word, and not a doer, he is like unto a man beholding his natural face in a glass: For he beholdeth himself, and goeth his way, and straightway forgetteth what manner of man he was. But whoso looketh into the perfect law of liberty, and continueth therein, he being not a forgetful hearer, but a doer of the work, this man shall be blessed in his deed. If any man among you seem to be religious, and bridleth not his tongue, but deceiveth his own heart, this man's religion is vain. – James 1:22-26. ﻿God is light, and in him is no darkness at all. If we say that we have fellowship with him, and walk in darkness, we lie, and do not the truth: But if we walk in the light, as he is in the light, we have fellowship one with another, and the blood of Jesus Christ his Son cleanseth us from all sin. If we say that we have no sin, we deceive ourselves, and the truth is not in us. 1:9 If we confess our sins, he is faithful and just to forgive us our sins, and to cleanse us from all unrighteousness. If we say that we have not sinned, we make him a liar, and his word is not in us. – 1 John 1:5-10. Brethren, if a man be overtaken in a fault, ye which are spiritual, restore such an one in the spirit of meekness; considering thyself, lest thou also be tempted. Bear ye one another's burdens, and so fulfil the law of Christ. For if a man think himself to be something, when he is nothing, he deceiveth himself. But let every man prove his own work, and then shall he have rejoicing in himself alone, and not in another. For every man shall bear his own burden. Let him that is taught in the word communicate unto him that teacheth in all good things. Be not deceived; God is not mocked: for whatsoever a man soweth, that shall he also reap. For he that soweth to his flesh shall of the flesh reap corruption; but he that soweth to the Spirit shall of the Spirit reap life everlasting. And let us not be weary in well doing: for in due season we shall reap, if we faint not. – Galatians 6:1-9. Now we beseech you, brethren, by the coming of our Lord Jesus Christ, and by our gathering together unto him, that ye be not soon shaken in mind, or be troubled, neither by spirit, nor by word, nor by letter as from us, as that the day of Christ is at hand. Let no man deceive you by any means: for that day shall not come, except there come a falling away first, and that man of sin be revealed, the son of perdition; who opposeth and exalteth himself above all that is called God, or that is worshiped; so that he as God sitteth in the temple of God, shewing himself that he is God. Remember ye not, that, when I was yet with you, I told you these things? And now ye know what withholdeth that he might be revealed in his time. For the mystery of iniquity doth already work: only he who now letteth will let, until he be taken out of the way. But we are bound to give thanks always to God for you, brethren beloved of the Lord, because God hath from the beginning chosen you to salvation through sanctification of the Spirit and belief of the truth: Whereunto he called you by our gospel, to the obtaining of the glory of our Lord Jesus Christ. Therefore, brethren, stand fast, and hold the traditions which ye have been taught, whether by word, or our epistle. Now our Lord Jesus Christ himself, and God, even our Father, which hath loved us, and hath given us everlasting consolation and good hope through grace, Comfort your hearts, and establish you in every good word and work. – 2 Thessalonians 2. Thou shalt not bear false witness against thy neighbour. – Exodus 20:16. He that worketh deceit shall not dwell within my house: he that telleth lies shall not tarry in my sight. – Psalm 101:7. The thoughts of the righteous are right: but the counsels of the wicked are deceit. – Proverbs 12:5. Deceit is in the heart of them that imagine evil. – Proverbs 12:20. The folly of fools is deceit. – Proverbs 14:8. He that hateth dissembleth with his lips, and layeth up deceit within him; when he speaketh fair, believe him not: for there are seven abominations in his heart. Whose hatred is covered by deceit, his wickedness shall be shewed before the whole congregation. – Proverbs 26:24-26. Socrates: Do you not know, I said, that the true lie, if such an expression may be allowed, is hated of gods and men? Adeimantus: What do you mean? he said. Socrates: I mean that no one is willingly deceived in that which is the truest and highest part of himself, or about the truest and highest matters; there, above all, he is most afraid of a lie having possession of him. Adeimantus: Still, he said, I do not comprehend you. Socrates: The reason is, I replied, that you attribute some profound meaning to my words; but I am only saying that deception, or being deceived or uninformed about the highest realities in the highest part of themselves, which is the soul, and in that part of them to have and to hold the lie, is what mankind least like; — that, I say, is what they utterly detest. Adeimantus: There is nothing more hateful to them. Socrates: And, as I was just now remarking, this ignorance in the soul of him who is deceived may be called the true lie; for the lie in words is only a kind of imitation and shadowy image of a previous affection of the soul, not pure unadulterated falsehood. Am I not right? Socrates: The true lie is hated not only by the gods, but also by men? Socrates: Whereas the lie in words is in certain cases useful and not hateful; in dealing with enemies — that would be an instance; or again, when those whom we call our friends in a fit of madness or illusion are going to do some harm, then it is useful and is a sort of medicine or preventative; also in the tales of mythology, of which we were just now speaking — because we do not know the truth about ancient times, we make falsehood as much like truth as we can, and so turn it to account. Adeimantus: Very true, he said. – Plato, Republic, Book II, 382a-382d, Benjamin Jowett, trans. Etymology of deceit: Middle English: from Old French, past participle (used as a noun) of deceveir deceive. Deceit begins as a soul taint, but unless lifted and surrendered to God, always becomes the breeding ground for sin because it is a perversion of reality. Deceit is also an initiation to the one being deceived. Copyright 2012-2019 by The Society of the Universal Living Christ. All titles published under "The Via Christa" are copyright protected. All Rights Reserved. You may not modify, publish, transmit, transfer or sell, reproduce, create derivative works from, distribute, perform, display, or in any way exploit any of the content, in whole or in part. No part of any book or paper herein may be reproduced or transmitted in any form or by any means, graphic, electronic, or mechanical, including photocopying, recording, taping, or by any information storage or retrieval system, without permission in writing from The Via Christa. Created February 22, 2012; modified February 26, 2019.